Some banks have hit hard times since the viral movement began, but support continues. The hashtag #BankBlack drove a deluge of interest in black-owned banks when it went viral in 2016 — but a year and a half later, many of those institutions’ balance sheets are trending in the wrong direction. The hashtag was inspired by a video of Killer Mike calling on individuals to open accounts at black-owned banks. And the rapper’s bank of choice — Atlanta-based Citizens Trust Bank — is among those that have grown since #BankBlack began. 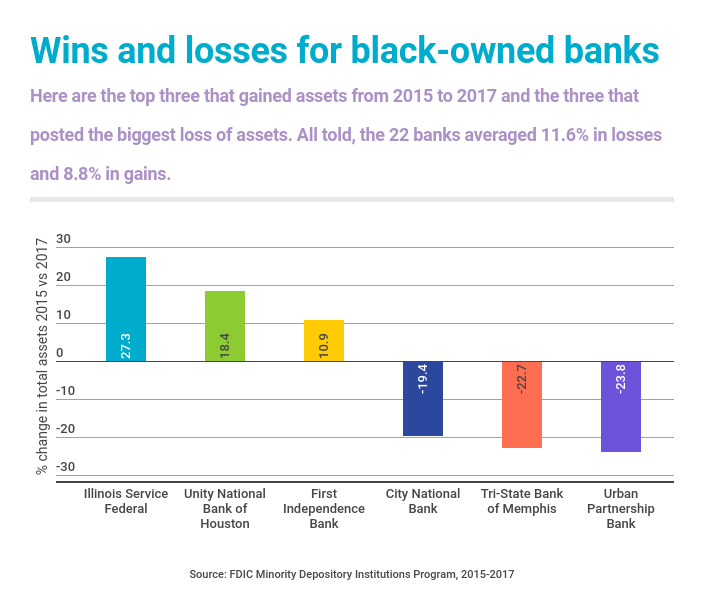 But for many black-owned banks, the picture is less rosy, with decreased assets and even closures. It’s a different story on Twitter, where people are still hashtagging their support and plans to move their money. Here’s why advocates say black-owned banks are worth saving. African-Americans as a group are underserved by financial institutions. Almost half are either unbanked or underbanked, meaning they supplement their bank account with often-costly alternatives such as check cashers and payday lenders. That’s nearly double the percentage of the population as a whole, according to a 2015 Federal Deposit Insurance Corp. report. Black-owned banks have an important part to play in improving those statistics. Residents of neighborhoods the banks serve are likely to have low to moderate incomes, according to 2013 remarks by Martin Gruenberg, chair of the FDIC. And 67% of their mortgage loans go to African-Americans. Among banks that aren’t black-owned, fewer than 1% of mortgages go to African-Americans. 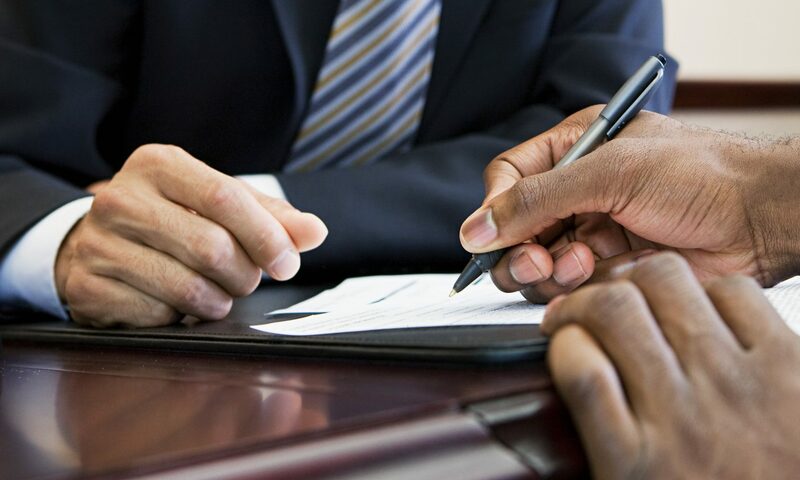 OneUnited, among the country’s largest black-owned banks, offers second-chance checking for customers who’ve been denied an account in the past, secured credit cards for those rebuilding damaged credit, and education for first-time home buyers. > MORE: Learn how to build your credit and get the score you deserve. Jackson’s adoptive mother, Amy McCabe Heibel, and her partner switched to OneUnited after seeing increasing news and social media coverage of black-owned banks. “For us, as a biracial family, it was important for us to put our money where our values are," she says. Those who do switch can expect services similar to the ones they find at other banks. In OneUnited’s case, that includes online and mobile banking, bill pay and remote deposit for checks. » Find second-chance checking accounts across the U.S. Black-owned banks “have a human and historical connection to Reconstruction, when newly freed slaves had nowhere to go but these banks,” Grant said in the 2017 interview. There were 44 banks with majority African-American ownership in 2007, before the recession. But as the communities these banks served suffered higher-than-average job losses and home foreclosure rates, the banks suffered, too. The most recent FDIC data show 22 black-owned institutions, down from 24 at the end of 2016, just after #BankBlack went viral. Of the banks that remain, about half report fewer assets than they did at the end of 2015, before #BankBlack. Banks with more than $100 million in assets were more likely to report a gain than smaller ones, but larger banks weren’t immune from financial troubles. New York-based Carver Federal Savings Bank is still the nation’s biggest black-owned bank by assets, but it reported more than $86 million less in assets in September 2017 than it did in December 2015. Other banks — including OneUnited — have flourished in the wake of #BankBlack. Williams credits the movement for much of the bank’s recent progress, including doubling its customers over the last year and a half. It has total assets of about $663.8 million, according to the latest FDIC data. Jeanne Lee contributed to this report.